GPSFence reminds employees to clock in/out when arriving/exiting job sites, and alerts Admins if employees clock in from outside the fence. 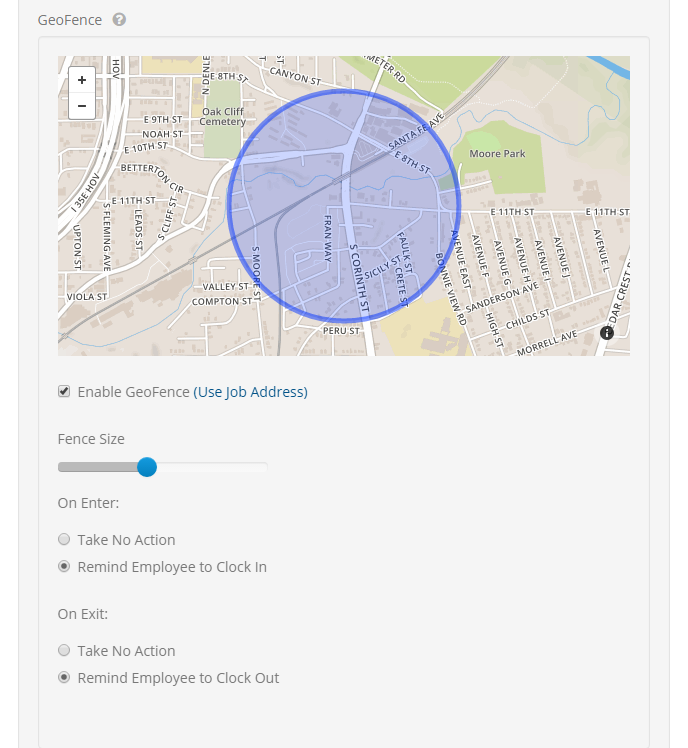 To add a geofence to a job site, go to the admin menu and click on Jobs. You can also set an Out of Bounds notification for anytime GPS locations are detected outside the Geofence for the currently clocked in Job. You can adjust these notifications from the Notifications screen (Admin > Notifications).